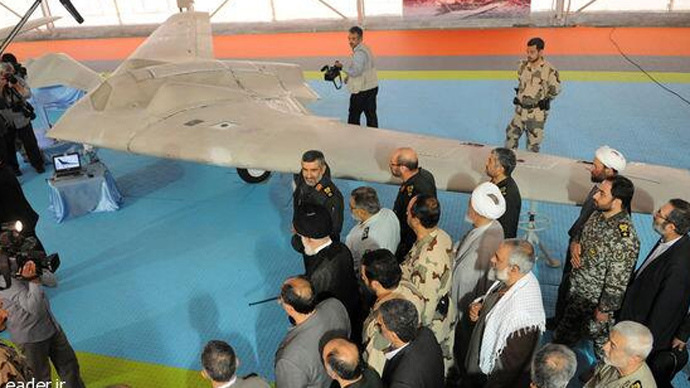 Iran has unveiled a copy of the US Lockheed Martin Sentinel RQ-170 drone which the Islamic Republic downed in 2011. The copycat aircraft is due to take test flights soon, officials said at the IRGC's Aerospace Exhibition. 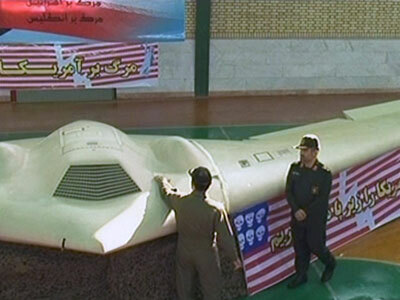 The reverse-engineered drone manufactured by Iran was showcased next to the original US machine that was captured in northeastern Iran near the city of Kashmar about three years ago. The exhibition, attended by the Supreme Leader of the Islamic Revolution Ayatollah Khamenei, revealed the Iranian marvel equipped with an advanced system of data collection, video and radar telecom, Fars reports. “Our engineers succeeded in breaking the drone’s secrets and copying them. It will soon take a test flight,” an officer said in the footage broadcast on Iranian TV. “This drone is very important for reconnaissance missions,” Khamenei said as he viewed the drone. The original Sentinel RQ-170 unmanned aerial vehicle (UAV) was used in US covert operations in Afghanistan from 2005 until 2007, according to the report. One of the important features of the drone is that it is hard to detect with long range radar due to its special stealth coating, making it visible only from a distance of around 40 kilometers. In December 2011, Iran claimed to have captured it flying over Iran, which the US military acknowledged. Washington filed a formal request for Iran to return the UAV, which Iran rejected instead demanded an apology for US intelligence operation over its territory. Although US officials never confirmed it, Iran says it used its radio electronic warfare skills and vulnerabilities in the Sentinel’s GPS receiver to trick it into landing on Iranian territory instead of its designated military base. The claims are considered plausible by many, since the drone did not sustain any visible damage during its alleged crash-landing. Since then Iran has also hunted down two more types of UAVs. Two RQ-11s and at least one ScanEagle that had penetrated Iranian airspace from the Persian Gulf. 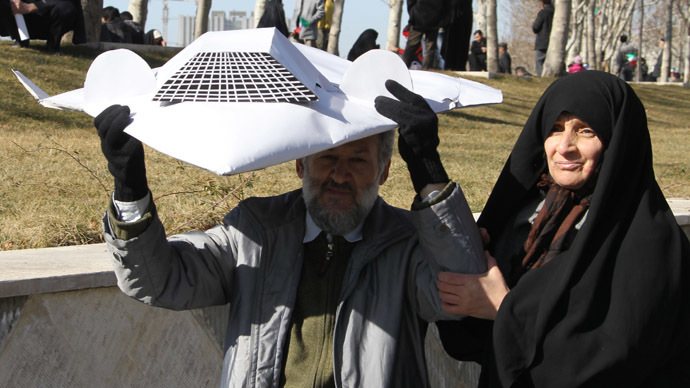 Last year, Iranian officials announced progress on reverse-engineering the captured Sentinel drone, saying that they has completed decoding its software and extracting the Central Intelligence Agency (CIA) surveillance data from it. “All the memories and computer systems of this plane have been decoded and some good news will be announced in the near future not just about the RQ-170 and the optimizations that our forces have done on the reversed engineered model of this drone, but also in area of other important defense achievements,” Hossein Salami, the lieutenant commander general of Iran’s Army of the Guardians of the Islamic Revolution said at the time. 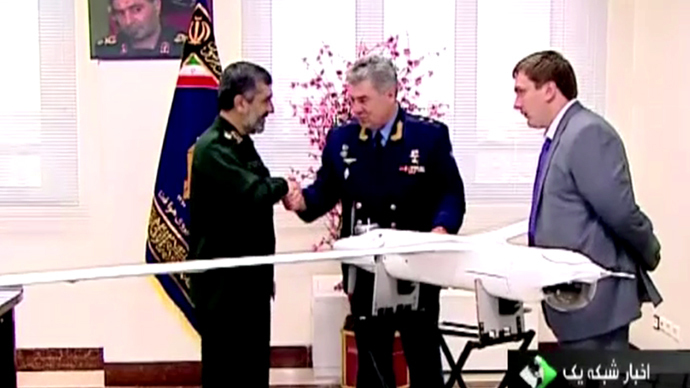 Iran earlier managed to present a functional copycat model of the US ScanEagle to a Russian military delegation visiting Tehran last October. 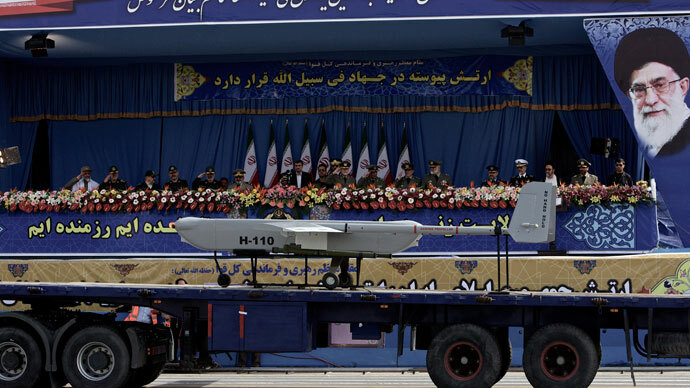 Before that, in February last year, Tehran demonstrated images of a ScanEagle UAV drone production line, revealing that this low-cost, high endurance drone would provide low-altitude reconnaissance for the Iranian military. In recent decades Iran has made significant achievements in its defense sector following the launch of an arms development program during the 1980-88 Iraqi-Iran war on Iran to compensate for a US weapons embargo. Since 1992, Iran has been producing its own tanks, armored personnel carriers, missiles and fighter jets.